This unique chicken black chicken roaster has a very dramatic and elegant look. 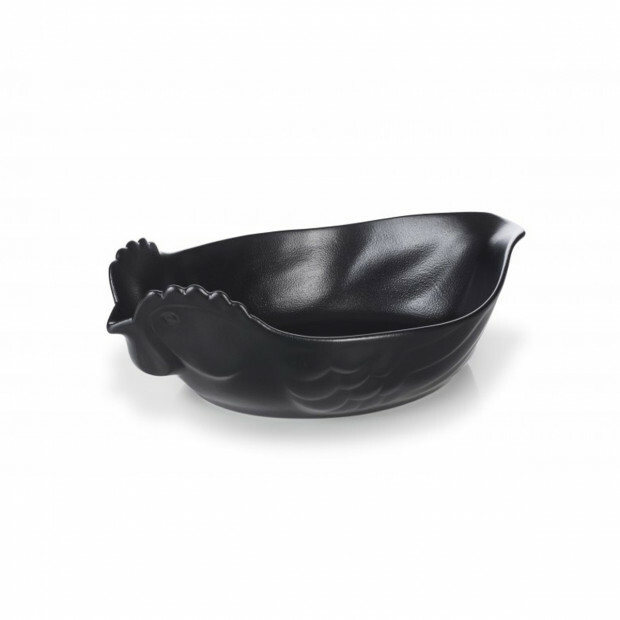 This is the perfect dish to make a moist and crisp chicken but it will also work perfectly as a fruit bowl, an egg casserole or anything to serve delicious food in. 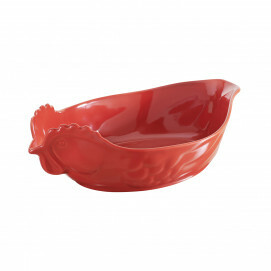 Just like all dishes by REVOL, the chicken roaster is made of culinary porcelain. 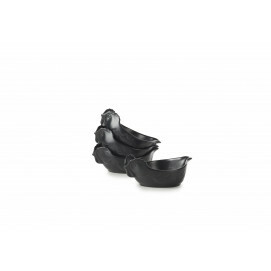 Therefore, the dish is durable and sturdy. 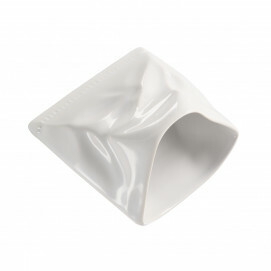 Easy to clean because it is dishwasher safe. Roast an entire chicken or anything else, and let it rest. The dish will retain heat for about an hour after you remove it from the oven, making the perfect serving dish for healthy dinners and more. This special gift comes in white, red an yellow, in 2 sizes and will make the list of best gifts you’ve given because it’s as fun as it is useful.